Singapore Airlines, amidst a $150 million upgrade of its cabin service, will put their new improvements on display for the first time in September on select flights between Singapore and London. The new product will be available in First, Business and Economy Class. The changes include new seats and the KrisWorld in-flight entertainment system. 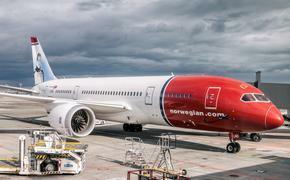 The changes will be introduced first on eight Boeing 777-300ER aircraft. Then the products will be introduced on the Airbus A350s that are currently on order and will be delivered in the coming years. The improvements come after two years of working with BMW Group DesignworksUSA which developed the new First Class, while the James Park Associates assisted with Business Class and Massive Interactive with the in-flight entertainment system interface. The designers paid special attention to ergonomics, comfort and convenience. The new First Class seat is designed to create the sense of a personal sanctuary inside the new fixed-back shell design with curved side panels to provide a clear demarcation of personal space. The seats are 35 inches in width and with an increased bed length from 80 to 82 inches. The seat uses an ergonomically sculpted cushion and improved adjustable headrest have been introduced along with padded headboard for extra support and an additional mattress layer. The passenger control unit has a new switch making it easier to turn off the in-flight entertainment monitor, and for cabin crew to do so without disturbing customers when they are resting. Research was carried out to determine the optimal light color and intensity in the reading lights. In addition to reading lights, the seat features ambient lighting, which not only accentuates the seat design but also serves as a night light in a dimmed cabin. eXport and USB ports are located within a leather-lined storage compartment by the side of the seat. HDMI ports have also been added to provide the flexibility for customers to use KrisWorld as their own personal media player. The new Business Class seat reclines to 132 degrees and features an ergonomic cushion. When converted, the full-flat bed is 78 inches in length and has a padded headboard cushion. It also features two new seating positions - ‘Lazy Z’ and ‘Sundeck’ that provide more flexibility. There’s also an amenity storage area on the side console and a laptop storage area. Other enhanced features include an 18-inch LCD screen and video touch-screen handset, an in-seat power supply, USB port, eXport and HDMI ports. The new Singapore Airlines Economy Class seat has increased personal space and legroom. Each seat comes with new backrest seat cushions with side bolsters for better back support. An ergonomically sculpted headrest cushion supports an increased range of height adjustments and better neck support. Customers can also enjoy the new KrisWorld in-flight entertainment experience on a wider 11.1-inch monitor, featuring a touch-screen user interface with a video touch-screen handset.